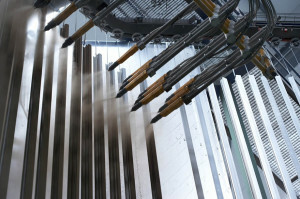 Iberalc offers the guarantee that comes with over thirty years’ experience in the anodizing of aluminium and specializes in both the anodizing of pieces of different shapes and sizes and the anodizing of profiles of up to 14 metres. Lacquered across the color range of the RAL can be applied to both small parts as profiles of up to 8 meters. 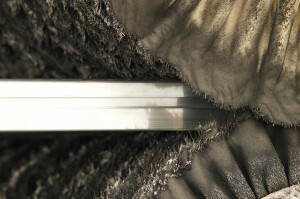 Automatic polishing or manual polishing. If it is not feasible to manufacture in automatic mode an operator is responsible for developing the piece by hand. If not, please contact us so that we can make a product that meets your specific needs.